Our family took a trip out to Garwood Orchard in LaPorte, Indiana last weekend and we picked a few things - green beans, blackberries, peppers, blueberries and pickles. 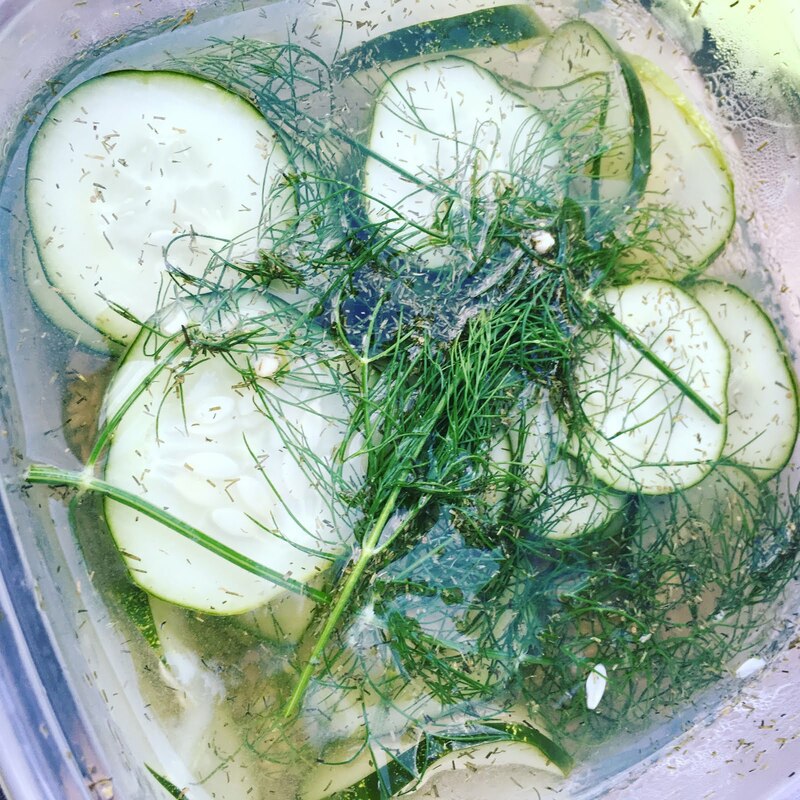 I love to make refrigerator pickles in the summer to grab as a snack or use as a condiment for burgers or sandwiches. We picked several pounds and I sliced some up and cut some into wedges and put them in jars and plastic containers in the fridge and after a week they are pretty tasty. This is such an easy recipe. Boil your water and vinegar with salt and sugar. After it cools, transfer to a container and add garlic, pickles and dill. Cover and refrigerate for at least three days. Keep stored in refrigerator for 30 days.